Protect and preserve your growing investments. 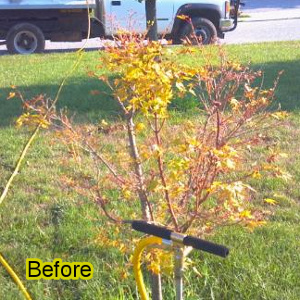 Get Grossman's expert treatment for your valuable trees, shrubs and ground covering plants! Professionally maintained landscaping will enhance the beauty of your property. Whether its a home or commercial property, it's important to nourish and protect it from pesky diseases, bugs, and the harsh winter weather. Beginning in early Spring and ending in late Fall, our certified treatment professionals inspect your plants and perform treatments based on the conditions, performing preventive treatments when needed. 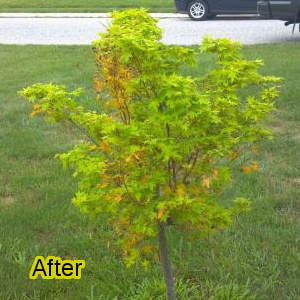 Diseases, insects and mites are targeted for control depending on current and expected activity, as well as fertilization utilizing a soil-injected liquid for larger trees and shrubs and a granular material for shallow rooted shrubs and ground covers. Additionally, winter protection treatments will be recommended for broadleaf evergreen shrubs to help protect against winter cold and wind. Insect treatments are available for Aphids, Spider Mites, Ash Sawfly & More Control and prevent a wide variety of insects on your deciduous, coniferous, and fruit-bearing trees.